One of my very first English professors, a kindly old lady at Chaffey College, once told us not to bother reading boring books. "There are too many good books out there," she said, "to waste your time reading something you're not enjoying." It was great advice, which I still adhere to almost 17 years later. Of course, I also understood that she was talking about our personal reading preferences, as opposed to what we were assigned to read as students. In the course of my education, I had to read a lot of stories that I would otherwise not have entertained had my grade not been on the line. I came to equate—as so many students do—school reading with boring reading. That was all before I read Franz Kafka's The Metamorphosis. "As Gregor Samsa awoke from unsettling dreams one morning, he found himself transformed in his bed into a monstrous vermin. He lay on his hard armorlike back and when he raised his head a little he saw his vaulted brown belly divided into sections by stiff arches from whose height the coverlet had already slipped and was about to slide off completely." There I was, in my bedroom, reading about this man, Gregor Samsa, who woke up one morning and found himself transformed into a giant cockroach! (Note to reader: The Metamorphosis has been translated several times and in the first version I read Gregor Samsa was transformed into a "cockroach," as opposed to an "insect" or "vermin.") Of course, my immediate thought was that Kafka was speaking metaphorically and Gregor simply felt like a cockroach. But, as I read on, I discovered that Gregor actually had transformed. And, while there are plenty of metaphorical implications in the subtext, it was, on its surface, a story about a man who turned into an cockroach. And I was reading it for school! When I first encountered The Metamorphosis about 11 years ago as an English major at Cal State San Bernardino, I felt like I'd discovered some wonderful secret, some hidden gem buried in my otherwise boring textbook. Perhaps because I was so excited about The Metamorphosis, I sort of dominated the discussion we had about it in class. Soon thereafter, I ended up writing my first English paper as a university student about it, analyzing Gregor Samsa's relationship with his sister (which I argued could be viewed as an incestuous longing on his part). And a few weeks after that, I gave an oral presentation on The Metamorphosis for extra credit. I didn't really need the extra points, I just didn't want to stop talking about it. "He would have needed arms and hands to prop himself up, instead of which he had only the many little legs that continually waved every which way and which he could not control at all. If he wanted to bend one, it was the first to stretch itself out, and if he finally succeeded in getting this leg to do what he wanted, the others in the meantime, as if set free, waved all the more wildly in painful and frenzied agitation." A few years after reading The Metamorphosis, I started writing articles for a movie blog called Criticide. One particular week, having not watched any of the movies that were out in theaters, I decided to pay homage to Franz Kafka by writing a fake movie review for a fake film adaptation of The Metamorphosis. The fake review was titled "Being Franz Kafka." Before reading The Metamorphosis, I assumed that the world of academia was a place for "proper" stories. Perhaps because I spent so much time in the exercise of literary analysis, I was haunted by the notion that my stories wouldn't be taken seriously. They wouldn't be discussed in classrooms or written about in term papers. And, while I knew that's not what made a story good or bad, I couldn't help but feel slighted. I felt that way all the way until I read The Metamorphosis. So, for me, Franz Kafka literally changed my perception of what literature could be. Because of him, I learned there was a place for writers like me. Or, at least, a place for the writer that I hoped one day to become. Christopher Hitchens died a year ago on December 15, 2011, after suffering from esophageal cancer. He fought the disease off for over a year, before succumbing to his inevitable fate—the same fate that awaits all of us. It's no fun to think about, yet Hitchens, a brilliant writer and thinker, did that and more. He spent his final months writing about the process of facing death; the essays that came from his writing have been posthumously published into a poignant memoir called Mortality. "It's normally agreed that the question 'How are you today?' doesn't put you on your oath to give a full or honest answer. So when asked these days, I tend to say something cryptic like, 'A bit early to say.' (If it's the wonderful staff at my oncology clinic who inquire, I sometimes go so far as to respond, 'I seem to have cancer today.')" I don't think it's a stretch to say one of my great regrets is I'll never have an opportunity to meet Hitchens in person, especially since I feel like I've come to know him so well these past few years. He was smug in a charming sort of way. He had a robust air of confidence about him, palpable through the TV screen. His confidence, it seemed, was fueled by his intellect. He was a man who knew things—a lot of things. And, of course, he was a man who knew he knew things, which for some might of made him insufferable, but, for me, made him completely engaging. He first came to my attention when he was a panelist on Real Time with Bill Maher. I forget the exact year, but I know it was nearly a decade ago, as he was speaking favorably of President George W. Bush's decision to go to war in Iraq. I assumed that, since I didn't agree with America going to war in Iraq, I wouldn't agree with anything else Hitchens had to say. It was a knee-jerk reaction; one, it seems, most Americans have about anybody who holds opinions contrary to their own. But, as Hitchens spoke, it became clear to me that he was thoughtful, highly intelligent, and had intellectually grounded reasons for believing what he did. I appreciated that about him. I don't remember anything else he talked about that night; I do, however, remember liking him a great deal. After that, I started noticing Hitchens everywhere, from cable news programs to the shelves of Barnes & Noble. I picked up his book God is Not Great: How Religion Poisons Everything. Hitchens, if you weren't already aware, was one of the worlds most well-known and outspoken atheists. The title of the book itself was indicative of Hitchens spirit, which was to speak in plain and unapologetic language about issues that most folks feel a need to tiptoe around. And, of course, when reading the book, I came to find exactly what I expected: thoughtful and intellectual prose about a topic in which Hitchens was exceedingly informed, more so than most of the people who would assume him to be wrong. In Mortality, Hitchens spends a fair amount of time reflecting on matters of religion and how they intersect with matters of death. He shares an entry from an unamed website in which the messenger writes: "Who else feels Christopher Hitchens getting terminal throat cancer [sic] was God's revenge for him using his voice to blaspheme him?" It goes on to say that Hitchens would "writhe in agony and pain and wither away to nothing and then die a horrible agonizing death, and THEN comes the real fun, when he's sent to HELLFIRE forever to be tortured and set afire." While I wasn't there when Hitchens first read these remarks, I like to imagine that, rather than feeling hurt by them, they provided a source of amusement. Hitchens was well-versed in all the major religions, having studied them on the page and engaging with them all around the world. "[W]ould this anonymous author want his views to be read by my unoffending children, who are also being given a hard time in their way, and by the same god? [And] why not a thunderbolt for yours truly, or something similarly awe-inspiring? The vengeful deity has a sadly depleted arsenal if all he can think of is exactly the cancer that my age and former 'lifestyle' would suggest that I got. [And] why cancer at all? Almost all men get cancer of the prostate if they live long enough: It's an undignified thing but quite evenly distributed among saints and sinners, believers and unbelievers. If you maintain that god awards the appropriate cancers, you must also account for the numbers of infants who contract leukemia. Devout persons have died young and in pain." As I read Mortality, I was continuously struck by the realization that the vibrant voice on the page, buzzing with life as it did, came from a man who had not lived long enough to see his book published. And, more than that, the words on the page came from a man who, while facing death, was still holding out hope that he might survive his disease. In fact, some of the more bittersweet passages in the book are when Hitchens writes about encouraging doctor visits and experimental treatments; as he was writing, he didn't yet know that the encouragement of those visits would be short lived, that the treatments would ultimately be for naught. Even in these thoughts, weighted as they are with sadness, I'm brightened by the inherit optimism of their promise. While Christopher Hitchens' body was mortal, his words are quite the opposite. One of the great reliefs I felt upon publishing my first book, Inside the Outside, was that my words would now live long after I died. In my fervent effort to complete my novel, I was constantly pressed by the morbid thought of dying before having an opportunity to complete it. So, for me, reading Mortality was something of an affirmation, a testmanet to the death-defying nature of our words. While we never met, I will always consider Christopher Hitchens a friend, so long as his prose rests on my shelves. And whenever I care to speak with my pal Hitch, I need only to turn the page and say hello. Like 99.99% percent of the literate world, I first became aware of Seth Grahame-Smith when I came across his novel Pride and Prejudice and Zombies. The first time I can remember picking that novel up was at Costco, where the first thing I always do is head to the book section. The cover was very neat looking, the title was great, and the premise was intriguing; Grahame-Smith had taken Jane Austen's Pride and Prejudice and re-imagined it with zombies. And then there was that wonderful opening line: "It is a truth universally acknowledged that a zombie in possession of brains must be in want of more brains." I'd never read Pride and Prejudice, despite taking a Women's Literature class in college (in which the featured novel was Jane Eyre) and, honestly, I've never been much engaged by most of the canon of classic literature, primarily because my tastes lean towards stories of a more fantastical nature (such as Franz Kafka's Metamorphosis). So, in that vein, Pride and Prejudice and Zombies appeared to be the perfect mashup, but, after a few chapters I realized I was simply reading Pride and Prejudice with an occasional smattering of zombies. I quickly became bored and did something I almost never do: I returned the book and got my money back. A couple years later, I saw a book trailer for Abraham Lincoln: Vampire Hunter, which seemed like one of the coolest, most original ideas I'd ever heard of it. I wasn't surprised to find out that it was written by Grahame-Smith, but I also became less interested. But, for months and months, it seemed to be turning up everywhere I went (i.e. the mall). Finally, I picked it up and was pleasantly surprised by the first couple of pages. "Vampires exist. And Abraham Lincoln was one of the greatest vampire hunters of his age. His journal—beginning in his twelfth year and continuing to the day of his assassination—is an altogether astonishing, heartbreaking, and revolutionary document. One that casts new light on many of the seminal events in American history and adds immeasurable complexity to a man already thought to be unusually complex." Seth Grahame-Smith, "Abraham Lincoln: Vampire Hunter"
While the same general formula was there—a mashup of something classical with something fantastic—I found the prose to be engaging, probably because Grahame-Smith wasn't simply painting silly mustaches on someone else's canvas. So, I bought the book and knew pretty quickly I was going to love it. What's fun, even charming, about Abraham Lincoln: Vampire Hunter is it reads like an earnest biography of Lincoln, chronicling his life from childhood to adulthood. Knowing very little about the man himself (save for trivial bits, like being on the penny), I actually learned a lot about him, which is a tremendous testmanet to Grahame-Smith's book. And it's that straight-forward biographical voice that makes the book so much fun, as it adds a tone of legitimacy to Lincoln's fictionalized life as a vampire hunter. Grahame-Smith tells much of the story in Lincoln's "voice," purportedly pulled from a series of secret journal entries. These entries play a significant role in breathing life into this fictionalized view of history, such as the first time Lincoln attempts to kill a vampire. "I threw myself at her with the last of my strength and thrust its blade into her belly. This only improved her good humor, for she grabbed my wrist and dragged it along her gut, cutting herself and laughing all the while. I felt my feet leave the deck; felt her hands on my throat." What most any storyteller does when taking on the vampire genre is find a happy medium of paying homage to traditional vampire mythology, while adding their own wrinkles, essentially creating their own unique vampire world, which is what Grahame-Smith has done here. The vampires in his book can be killed by sunlight, but the older they get the stronger their tolerance; after a century or so, they can walk outside during the day with dark glasses and a wide hat. Since Abraham Lincoln: Vampire Hunter's publication, a movie has been adapted from it (which, as of this writing, I've yet to watch) produced by Tim Burton, using a screenplay written by Grahame-Smith. Around the same period of time, Burton directed an adaptation of the vampire television series Dark Shadows, using a script penned by Grahame-Smith. My impression is he'll continue to work in Hollywood, as writing screenplays pays more than writing novels; but, thanks to Seth Grahame-Smith's flair for prose fiction, I'm certain that, as his career evolves, he'll never stray too far from the gal who brought him to the dance. The Color Purple, the Pulitzer-Prize winning novel by Alice Walker, is a beautiful story that has, for nearly the entirety of my life, lived quietly in the marrow of my subconscious. It is, in fact, a story I encountered for the first time on three separate occasions. My first encounter with The Color Purple came in December of 1985, when I went with my family to watch Steven Spielberg's film adaptation of Walker's novel. My godfather, Willard E. Pugh, had secured a starring role in the film, playing the character of Harpo. Harpo is the husband of Sofia, played by Oprah Winfrey, the son of Mister, played by Danny Glover, and the step-son of Celie, played by Whoopi Goldberg. While Celie is the central character of the novel and Goldberg, by extension, the star of the film, Willard, so far as I was concerned, was the only reason the movie existed. Willard, along with my parents, brothers, sister, grandmother, and myself, went to the Edwards Cinema on Haven Avenue (which, sadly, no longer shows movies and is now used as a church), next to the Brunswick Deer Creek Lanes bowling ally in Rancho Cucamonga. We saw the movie on a Saturday afternoon and, in my memory, there weren't many people in the theater, which bothered me, because, for obvious reasons it was the most important movie ever made. I was eight years old that Saturday afternoon and as I sat in the theater watching Spielberg's film, I had no idea what it was about. I knew that Willard played the character of Harpo, but for the first twenty or so minutes of the film, Harpo was a little boy. That boy felt to me like an impostor, taking up the precious film time that belonged to Willard. I wanted him to hurry and grow up. And when finally he did, there was Willard, putting a saddle on a horse. It was a small miracle seeing him on the screen, though I was far too young to appreciate the complexities of Harpo's character. Harpo is, at his core, a kind man who grew up under the violent hand of a cruel father. 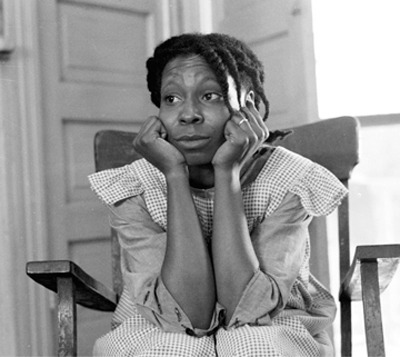 When he wasn't getting beat himself, he watched his father, Mister, beat his step-mother, Celie. 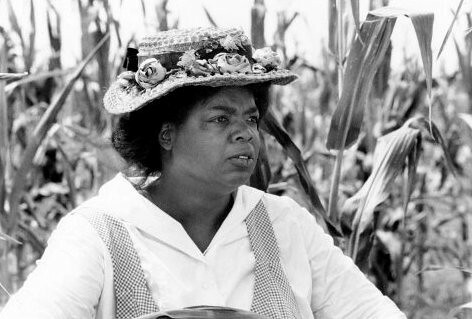 "Harpo complain bout all the plowing he have to do. His daddy say, you gonna do it. Harpo nearly big as his daddy. He strong in body but weak in will. He scared. Me and him out in the field all day. Us sweat, chopping and plowing. I'm roasted coffee bean color now. He black as the inside of a chimney. His eyes be sad and thoughtful. His face begin to look like a woman face." -Alice Walker, "The Color Purple"
While, at the end of the film, I had no idea of what it was about, I was nonetheless satisfied with the experience. My second encounter with The Color Purple came ten years later, when I was about 18 years old. Having been watching and enjoying movies for, literally, longer than I can remember, I considered myself something of a film buff. I watched any and every movie I could get my hands on and at some point, not long after my eighteenth birthday, it occurred to me I should watch Willard's film again—this time with a more mature, sophisticated eye. So, on a random weekday afternoon, I made some popcorn and sat alone in my room watching The Color Purple. More than once, I found myself crying during the film, which was both tragic and uplifting all at once. I also had a much better appreciation for the power of Willard's performance, the way he articulated, with his beautiful acting ability, Harpo's sensitivity, the way he wanted to love his woman, Sofia, but didn't really know how, because of the ugly example set for him by his father. "Harpo want to know what to do to make Sofia mind. He sit out on the porch with Mr. _____. He say, I tell her one thing, she do another. Never do what I say. Always backtalk. Mr. _____ don't say nothing. Blow smoke. I tell her she can't be all the time going to visit her sister. Us married now, I tell her. Your place is here with the children. She say, I'll take the children with me. I say, Your place is with me. She say, You want to come? She keep primping in front of the glass, getting the children ready at the same time. You ever hit her? Mr. _____ ast. Harpo look down at his hands. Naw suh, he say low, embarass." When I finished watching The Color Purple again for the first time, I felt like I'd discovered this amazing jewel that had been hiding in plain sight since 1985. It was a movie that, to me, felt important, both cinematically and socially, and for Willard to have been a part of it left me feeling an overwhelming sense of pride. Clearly, I figured, it must have been well represented at the Academy Awards. So I did a bit of research and found that it was nominated for 11 Academy Awards, including Best Picture, Best Actress for Goldberg and Best Supporting Actress for Winfrey. It didn't win any of them. Out of Africa won the Academy Award for Best Picture and it remains, out of equal parts loyalty and animosity, a movie that I have never seen. Tom Robbins, for a very long time, held the undisputed top spot as my very favorite writer. Over the years, as my personal library has expanded and I’ve discovered new and interesting writers, Robbins has had to share his top spot and, on rare occasions, he's even had to give it up (to writers like Jasper Fforde or Tim O’Brien) depending on which book I've just finished reading. No matter what, he’s always on my short list and, if forced to make a decision, he stands a 90% chance of being named Martin’s Favorite Writer™ (I just made up that statistic, but it feels true). I've read all but two of Tom Robbins’ novels (B is for Beer and, arguably his most famous novel, Even Cowgirls Get the Blues) and he never ceases to be entertaining. I’m slightly torn as I write this post, because, I keep thinking I should be writing about Skinny Legs and All or Jitterbug Perfume, my two favorite Tom Robbin's novels. But, because Robbins has had such a profound influence on me and my writing, it stands to reason that I should write about the first novel of his that I ever read: Still Life With Woodpecker. I was about 19 years old the first time Tom Robbins was brought to my attention. I was heading out to LAX with my dad for a week-long trip to Louisiana and, hoping to disuade me from reading Stephen King's Insomnia on the flight over, my brother, Greg, told me I should instead read Even Cowgirls Get the Blues. His plan might've worked, if only he'd actually had a copy of the book with him at the time. But, alas, he did not and off to Louisiana I went sans Tom Robbins. About a year or so after that trip, while hanging out at the Ontario Mills Mall, I went into Foozles—an outlet bookstore that, unfortunately, closed down not long after it opened—and happened upon a shelf of Tom Robbins books. Because Tom Robbins had seemingly settled into my consciousness, I felt obliged to pay him a little attention. I picked up Skinny Legs and All and read the first page or so. I was both impressed and amused with Robbins’ prose, but, being that I was in the middle of the mall, I couldn’t very well settle into it, so I put it back and went on my way. Not long after that, while hanging out at Greg's house, I went to his bookshelf and discovered he had quite a few Tom Robbins novels. I picked up Half Asleep in Frog Pajamas and, upon reading the first page or so, found myself thoroughly impressed with how easily he opened the story with unique wit and charming prose (I specifically remember wondering if I'd ever be able to write novel with such an opening). And yet, like Skinny Legs and All before it, I put the book down, without any real intention of picking it back up again. At some point, a few months later, I was staying with Greg for an extended visit. During my visit I went back to his bookshelf and, wanting to peak into another Tom Robbins novel, I randomly picked up Still Life With Woodpecker. In the Prologue, Robbins is telling the reader—and, seemingly, himself—about his new typewriter, the Remington SL3. "I sense that the novel of my dreams is in the Remington SL3—although it writes much faster than I can spell. And no matter that my typing finger was pinched last week by a giant land crab. This baby speaks electric Shakespeare at the slightest provocation and will rap out a page and a half if you just look at it hard. 'What are you looking for in a typewriter?' the salesman asked. He recommended the Remington SL3." -Tom Robbins, "Still Life With Woodpecker"
Because I'd be staying with Greg for a few days, I allowed mysel the treat of reading on and, one sentence at a time, I fell madly in love with Tom Robbins (just now, as I was writing that last sentence, I considered clarifying that I hadn’t fallen in love with Tom Robbins specifically, so much as his writing, but decided that, really, they’re probably one in the same). Even when he's being interviewed, Robbins' thoughts about the world always fascinate me, as when he responds to a question about a typical day in his life. "Since I try to avoid routines, I’m not sure I have a 'typical' day. When I’m off the road and working on a book, however, I do go to my writing room rather faithfully at 10 each morning, remain there until mid-afternoon (whether or not the muse elects to join me), with a noonish break for a solitary lunch. Afterward, there’s frequently a three-mile-walk followed by reading, yoga, dinner and all manner of tomfoolery, both legal and forbidden, familiar and arcane." I had only been reading novels for pleasure for about a year or two when I started Still Life With Woodpecker and, up to that point, I was under the impression that the prose side of writing was simply a necessity for telling the story. I had no idea before reading Still Life With Woodpecker that the prose could be every bit as entertaining as the story itself and sometimes, as is often the case in a Tom Robbins novel, even more so. While Tom Robbins is something of a philosopher with loads of interesting opinions and insights into the world around him, it’s his unique way with words that I love most. Robbins is like a literary acrobat, doing things with words that I could never have imagined. "The moon was full. The moon was so bloated it was about to tip over. Imagine awakening to find the moon flat on its face on the bathroom floor, like the late Elvis Presley, poisoned by banana splits. It was a moon that could stir wild passions in a moo cow. It was a moon that could bring out the devil in a bunny rabbit. A moon that could turn lug nuts into moonstones, turn Little Red Riding Hood into the big bad wolf." The writing was so playful and fun that the story being told became secondary; but even still, Robbins always has an interesting story to tell which, like his prose, is playful at worst and enlightening at best. I even became convinced that, in my own writing endeavors, the story didn’t matter at all, so long as the prose was fun and interesting. It turns out that this isn’t true. At all. I wrote quite a few bad short stories before I realized it, but eventually, with the help of a terrific creative teacher, I figured it out. The story does matter and, despite his love of words, Tom Robbins knows this as well. The story in Still Life With Woodpecker is about a princess named Leigh-Cheri, who is a former cheerleader, a liberal, an environmentalist and a redhead. She meets, and eventually falls in love with, Bernard Mickey Wrangle, also known as The Woodepecker, who is an outlaw, a bomber...and a redhead. My memory of the story involves an engaging love affair between the two, as well as interesting stretches of philosophical dialogue and long meditations on the power of a carton of Camel cigarettes (something to do with pyramids, as I recall). There is also a lot of talk about redheads and their supposed origin planet called Argon. It’s all very wild and interesting, but, ultimately, Still Life With Woodpecker is a love story. "Albert Camus wrote that the only serious question is whether to kill yourself or not. Tom Robbins wrote that the only serious question is whether time has a beginning and an end. Camus clearly got up on the wrong side of bed, and Robbins must have forgotten to set the alarm. There is only one serious question. And that is: Who knows how to make love stay? Answer me that and I will tell you whether or not to kill yourself. Answer me that and I will ease your mind about the beginning and the end of time. Answer me that and I will reveal to you the purpose of the moon." I didn’t finish reading Still Life With Woodpecker during my stay at Greg’s, but I did take it home with me. By the time I was done I was hooked. I wanted more Tom Robbins. Incidentally, this new love affair of mine coincided with my first debit card and the immersion of Amazon.com. I searched out Tom Robbins novels, buying one at a time, never bothering to read the synopsis—never wanting to know what it was about—having complete faith that whatever was on the page would satisfy my jonze. Insomnia, by Stephen King, stands as one of the most important books I’ve ever read. In the summer of 1997, just a few months after I discovered my love of reading, I decided I wanted to use my three months away from school to sufficiently challenge my reading chops. I wanted to see just how far I could take this literary trip. I decided I wanted to read one of those fat novels, thick like a brick of cash, that I used to see my mother read when I was a kid. In her case, they were romance novels, but that didn’t really matter to me. I just remember sitting in the family car (or minivan or pickup truck) driving to Magic Mountain or Disneyland or Knott’s Berry Farm or wherever and watching my mother read a gigantic book, while she sat in the front seat beside my father who was, at the time, serving his thankless role as family chauffeur. I was always wowed by the idea that, not only could someone read a book of that size, but they would do so on purpose—and, presumably, enjoy the process. So, at the age of 19, having discovered my own love for reading, I wanted to know if I was one of those people who could read one of those huge books. This led me to take my first trip—as an actual reader of books!—to Barnes & Noble. It was an exciting moment for me, because not only did going to a bookstore make me feel (and, hopefully, appear) smart, but I actually wanted to be there. I couldn’t wait to choose from the thousands and thousands of books, each of which contained a little movie inside that I could watch in my head. About five seconds after I stepped into Barnes & Noble, I realized that there were too many books. I had no idea how to sift through the vast inventory of books, how to filter the good from the bad. More importantly than that, I had no idea what sort of books I would enjoy. Up to that point, I’d completed only three books: The Jungle, The Great Gatsby and Star Wars (see if you can guess which of these books wasn’t assigned to me in school). There were so many aisles and different genres, I didn’t know where to begin. So, I decided to start with the only writer I had ever heard of. Ralph Roberts used to be an ordinary guy—until insomnia robbed him of sleep. Now he’s no longer ordinary—he can see horrible things happening to the people of Derry, Maine. He can see how, one by one, they are turning into monsters straight from hell. He’d like to call them nightmares, but he’s wide-awake. He can’t call himself crazy, because there is another person who sees these happenings, too. But even if seeing is believing, it still doesn’t give him a clue of how to stop these deadly, demonic visions from coming true…. Even now, looking back on this book, I find that synopsis appealing, so it’s no wonder that I chose Insomnia for my summer reading challenge. Aside from its promising synopsis, the book itself was nearly 700 pages long and about as thick as a deli sandwich. While it was challenging, I got through about 98% of the book that summer. For whatever reason, the final 2% felt like something of a chore, so Insomnia sat in my room for months, going unfinished. In retrospect, it might have been the pleasure delayer in me that didn’t want to finish the book. Even now, I find that I savor the last few pages of any book I read, even ones I don’t especially enjoy. What eventually got me to finish was my Uncle Phil, who, himself an avid reader, wanted to borrow the book when I was done, so I went ahead and finished it. That was about 14 years ago and, hopefully you’ll understand, I can hardly remember anything about the story. I didn’t even remember the main character’s name was Ralph before I picked the book up from my shelf to refresh my memory. The clearest memory I have of the story is three scary little men, who only Ralph could see. They were dressed in white overcoats, like doctors, and walked around with scissors, which they could use to cut people’s lifelines—or something like that—instantly killing them. I’m sure I didn’t get all the details right, but whether or not I can remember what the story is about isn’t really the point anyway. It was a test of my reading chops, like a runner who decides run a marathon. When a runner finishes their first marathon, the reward isn’t the time they finished in, but rather the knowledge that they could finish it at all. As a new reader, starting and finishing a book of great length—particularly a book that nobody was forcing me to read—was one of the most important accomplishments of my life, because now I knew I could do it. And this is why Stephen King’s Insomnia stands as one of the most important books I’ve ever read. I’m not a big fan of autobiographies, but I love memoirs. Where an autobiography tells an individual’s life story, more or less, a memoir focuses on a specific aspect of an individual’s life. And while autobiographies are the sole territory of celebrities and public figures, in so far as the publishing industry is concerned, the memoir section of your local bookstore is bound to be dominated by relatively anonymous folks with really amazing stories to tell. In the last five or ten years, it seems the most commercially successful memoirs revolve around human tragedies—especially if those tragedies are followed up with any sort of triumph or redemption. One of my very favorite memoirs is The Los Angeles Diaries by James Brown. While—for reasons that I’ll never fathom—it wasn’t a commercial success, it has garnered a well-earned cult following. 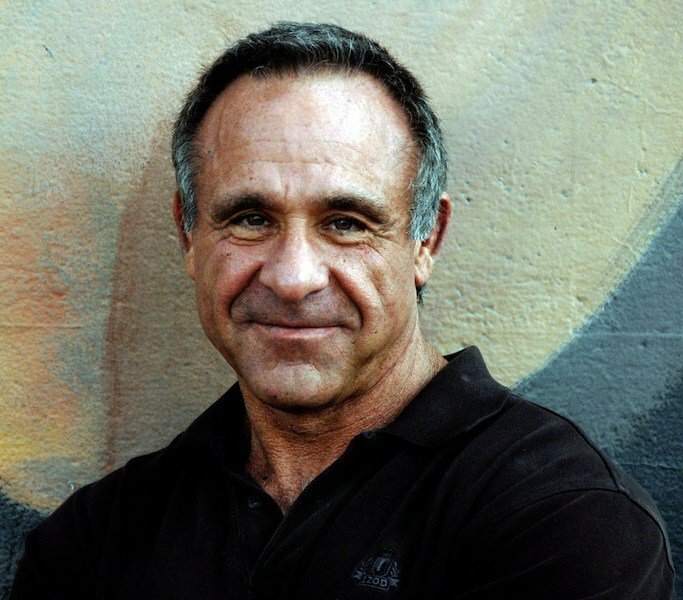 In it, Brown writes about his life as an alcoholic and drug addict. -James Brown, "The Los Angeles Diaries"
I was first introduced to The Los Angeles Diaries when I was an English major at Cal State San Bernardino (or CSUSB). I'd transferred to CSUSB in 2001 and was excited to find out that, within the English program, CSUSB offered an emphasis in creative writing. Up to that point, I’d spent a few years trying to learn the craft on my own. Despite the encouragement of my friends and family, who all seemed to enjoy my short stories, I felt very limited in my abilities. I had what I thought to be loads of creative ideas, however I lacked the appropriate tools to turn those ideas into engaging literary prose. My first creative writing class at CSUSB was something of a disaster. The professor—who I will not name here—was (and is, I suspect) a very accomplished author, whose career has been decorated with awards and accolades. I was thrilled to sit at the feet of a professional author, somebody who had been to the place I wanted to be and, better yet, could give me some insight on how to get there. I showed up to that class filled with confidence and ambition. By the end of the fall quarter, the professor had managed to strip me of all said confidence and ambition. Going into winter break, I decided to quit writing. When I told my girlfriend, Chanel, that I was quitting writing, she asked why. “I’m no good at it,” I told her. “Yes, you are,” she said. “You’re a great writer,” she said. I found myself getting frustrated with her. She simply didn’t know enough about writing, I told myself, to realize I was no good. But no matter how vehemently I tried to convince her, she refused to believe me. It seemed reasonable enough. She could go on with the delusion that I was any good and I could take comfort that only one person in the world would have to suffer my writing. So I worked on a short story that had been in my head about a secret criminal enterprise that was fronted by a children’s show starring a clown named Krazy Karl. I never finished the story, but the writing I did served as something of a bridge from the fall to the spring quarter, at which point I decided that I would try one more creative writing class, before quitting for good. So, in the spring of 2002, I registered for a class taught by James Brown. I had never heard of Brown before and I didn’t learn until the first day of class that, like my previous professor, he was an accomplished author with a handful of novels under his belt and a forthcoming memoir, which he told us was called The Los Angeles Diaries. He seemed like a nice and reasonable man, so I felt comfortable putting the fate of my writing life in his hands. If Brown had nothing good to say about my writing, as was the case with the previous professor, then I would take it as a sign. In fact, I was in such a hurry to find out—once and for all—that I was wasting my time as a writer, I volunteered for the first workshop of the class. I submitted a revised version of the story I had previously workshopped in my first creative writing class about a teenage boy who is terrorized by three bald men driving a rusty orange pickup truck; they follow him home, tie him to a chair and go through an eccentric ceremony, before shaving his head. During the course of the workshop, Brown had favorable things to say about both my writing and the story. He had critiques, of course, but they were tactful and constructive. His encouragement lit a fire in my belly and I couldn’t wait to start working on my new revisions, especially since, in between workshops, Brown spent time talking about the craft of creative writing, giving me the tools I had longed for. Later that year, the English department at CSUSB hosted a reading featuring Brown and The Los Angeles Diaries. I took Chanel with me and we sat in a crowd of people that, ironically enough, included the aforementioned writing professor (who will remain nameless). Brown read from the chapter “Snapshot,” which is the story of his mother burning down an apartment building and all the repercussions this action would have on their family. I was struck by the simplicity of his sentences. There was nothing fancy about Brown’s writing; however, the cadence of his prose was methodical and deliberate, hypnotic even. As he read, his seemingly simple prose systematically painted a picture full of genuine emotion and poignancy. By the end, I was thoroughly impressed by Brown’s mastery of the craft. I was also grateful that the man who wrote so beautifully was the same man who was mentoring me in my own pursuit to master the craft. A few months later, I went to Barnes and Noble to buy The Los Angeles Diaries on the first day it was available. As I read it, I got the sense Brown was trying to piece together the fragments of his life, to look at it all with a sober eye, hoping to discover, through the therapeutic process of writing, how his life turned out the way it did. There are no easy answers in The Los Angeles Diaries and Brown is too wise to pretend he has any. And while Brown’s story is filled with tragedies—some unnecessary, some unavoidable—it is not without hope. Every time I pick up The Los Angeles Diaries, I find myself feeling grateful all over again. Not just for Brown’s honest and unflinching portrayal of his life, but also for the unwitting hand he played in resuscitating my confidence and ambition. I can say with complete confidence that if it weren’t for James Brown, not only wouldn’t I be writing this blog post right now, I wouldn’t be writing at all—except, of course, for the stories Chanel would invariably have forced out of me. In 2009, S. Kay Murphy published her memoir Tainted Legacy: The Story of Alleged Serial Killer Bertha Gifford. Like Truman Capote's In Cold Blood, Murphy's memoir explores the chilling effect of murder in a small, rural town. Unlike Capote, Murphy is not simply a city-slicker fascinated by a brutal crime, she is the great-granddaughter of the accused. Murphy does a terrific job of pulling you into her world, letting you feel what it's like to discover your great-grandmother might have been a serial killer; with every new discovery, which either brought jubilant triumph or devastating heartbreak, you soon realize that you're on this ride with Murphy, driving cross country to Missouri, contacting descendants of the dead, touring courtrooms and visiting graveyards. Murphy’s writing in Tainted Legacy is simple and elegant, getting right to the heart of the matter. The true victory of Tainted Legacy is Murphy's tireless research and her unflinching search for the truth, even if it brings her answers that she doesn't really want to know. What Murphy eventually figured out was that the process of discovery was just as important, if not more so, than the discoveries themselves. Ironically enough, I learned a similar lesson not long after I graduated from Alta Loma High School with the class of 1996. I was a bad high school student, which isn’t to say I was outspoken or rebellious. You’d never catch me smoking in the boys room and I can count on one hand—using less than four digits—the number of times I ever ditched class. No, I was a bad high school student with regards to academics. I almost never studied for tests and, when I did, I never knew how. I didn’t know how to write papers and, when I did write them, I always waited until the last possible moment. I still don’t understand geometry or chemistry and I have an embarrassingly limited knowledge of U.S. and world history. Question: What’s the Pythagorean theorem? Question: What’s the most abundant element in the Earth's crust? Answer: Hell if I know! Question: What was the conflict that led to the Korean war? Answer: Umm…I need to use the bathroom! Yet, I graduated high school without a single hiccup. It was as if there was somebody standing behind me for four years pushing me through, despite the fact that I wasn’t really learning anything. While I wasn’t what you would call ambitious, I did have a very tangible sense of wanting to do something substantive with my life. I just didn’t know what I was supposed to do. Because I had long before given up on my dreams of becoming Batman or a wrestler in the WWF, I didn’t know where I should be focusing my energy. Most of my friends had gone away to college, because they had done all the things that I didn’t do in high school. Since I didn’t have a job—part time or otherwise—and I hadn’t taken the SATs, the only choice that seemed to make sense was to enroll in Chaffey, the local community college. As part of my enrollment, I had to take a math and English placement exam. I did terrible with the math, but, somehow, I’d done well enough in English to qualify for English 1A (a class most schools call English 101). What I know now—but didn’t know at the time—is English 1A is a class that most community college students have to work towards by completing one or two remedial English courses. The fact that I had gotten right in should’ve given me a clue that, perhaps, I had an innate aptitude for English. As it turned out, most English 1A classes were full in the fall of 1996, so I wasn’t able to get into one initially. But, as luck would have it, Chaffey had opened up a brand new satellite campus in Fontana and there was a late-start English 1A class being offered. The only other classes I’d managed to get into were Survey of American Film and Fashion Merchandising, so I jumped at the chance to enroll in English 1A. The professor for the course was S. Kay Murphy. She was—and is—a high school English teacher. She decided to teach an English course at Chaffey during the evenings as a way of supplementing her income and, as a former Chaffey student herself, she saw it as an opportunity to bring her academic life full circle. And her first day on the job just so happened to coincide with my first semester in college. The first thing Murphy had us do was a quick in-class writing assignment where we described three magazines that represented who we were. While I wasn’t rebellious, I was—and am—a slave for coloring outside the lines, so instead of writing some straight forward prose, I decided to write a fictional narrative that involved me going to a drug store and browsing through the magazine section. I remember having the distinct feeling that I was doing something wrong and I worried my new English professor wouldn’t appreciate it. The following class session, Murphy was passing back our magazine assignments. In the middle of calling out names, she paused and quietly considered the next paper in her stack. She looked over my assignment for another moment or two. “This is good,” she said, before handing it back to me. Her approval sang like a choir that I never knew existed. I wanted to hear more, so I got right to work on the first paper she assigned, which was an autobiographical essay—which is to say, a short memoir. I decided to write about losing my job as an ice cream scooper at Thrifty’s, after being interrogated for four hours for stealing. I didn’t know if it was any good, but I did know writing it felt good. Murphy thought enough of it to read it out loud to the class. I was absolutely elated. And at the bottom of my paper, she wrote: “You’re a good writer. You should consider majoring in journalism.” Murphy's encouragement had unwittingly jarred something loose, exposing me for the first time to what I knew had to be my destiny. From that day forward my whole life revolved around writing. A few years passed and I often found myself thinking about that English professor who changed my life. I wanted to tell her that I took her advice and pursued writing. I wanted to tell her that I had been published and won awards and it was all because of her. It made me sad that she would never know. Then one day, through the miracle of the Internet, I was looking for writing contests and came across the Inland Empire California Writer’s Club. The treasurer of the club was S. Kay Murphy. I wasn’t positive if it was my former English professor, but I wrote her an email anyway. I explained who I was and how—assuming she was who I thought she was—she had changed my life. Not only did she remember me nearly seven years later, but she was dumbfounded by how her little comment on the back of my paper had managed to put my life in focus. Now that we were in touch, the first thing I wanted to know about was her writing. She sent me an essay she’d written for the L.A. Times about not watching an Eminem concert at the Blockbuster Pavilion. I, in turn, sent her some of my own writing. The Prodigal Hour is an ambitious novel, to say the least. It is both strange and complex and for all the right reasons. The author, Will Entrekin, somehow figured out a way to intertwine the tragedies of September 11, the crucifixion of Jesus, and the possibility of time travel into a single narrative. And he does so admirably. I already feel like I've revealed too much, but it’s difficult to talk about this book without mentioning some of the ingenious and inventive twists and turns Entrekin comes up with. There is also Leonard Kensington, who travels through time on behalf of an agency called CIRTN. Chance and Leonard don’t know each other and have never heard of each other. But it’s clear, by the clever way in which Entrekin paces their dueling narratives, that it’s only a matter of time before their paths cross—and more clear than that is that something big will happen when they do. The prose in The Prodigal Hour is confident, which is clearly an extension of its author. That’s not to say the prose is cocky or has a too-high opinion of itself. It simply reads like it knows exactly what it’s doing and, more importantly, why. I enjoy getting lost in books, especially when the story is adventurous and daring, a story with so many moving parts that I can’t possibly keep track of all of them. It’s in those stories where the hand of a sure and confident author is needed. The Prodigal Hour is a daring story with big ideas and loads of moving parts and yet there was never a moment when I didn’t feel comfortable in Entrekin’s prose. I could sense, without ever really knowing, that no matter how strange the story got or how far out the plot went, Entrekin always knows exactly where he is and where he's going and, most importantly, how to guide his reader to where they need to be. The first book I ever read, beginning to end, was The Jungle by Upton Sinclair. I was 19 years old. While I’ve been a strong reader for as long as I can remember, I wasn’t always good at comprehending the thoughts and ideas represented by the words on the page. This may very well explain why I loved comic books so much growing up. In fact, the only book I went out of my way to try and read as a kid was the novelization of the 1989 movie Batman written by Craig Shaw Gardener. And the only reason I read that was because I spent an entire calendar year in anxious anticipation of the theatrical release of Batman. I was about 12 years old at the time and, incidentally, my brother, Greg, took me to a midnight showing of Batman at Universal Studios (this was before they added the Universal City Walk) on the night of it's release. Batman, Tim Burton’s 1989 blockbuster film, represented three of my greatest passions as a 12-year-old boy: Movies, comic books, and superheroes. Batman, in particular, was my favorite superhero; while, like most any other comic book fan, I appreciated fantasy-driven super powers, I loved that Batman’s abilities were framed by the limitations of being human. Specifically, this led me to believe that I could one day grow up to be Batman—or some similar superhero. And, for a while there, I had some serious aspirations of becoming the real life version of the caped crusader. I suppose the point I’m trying to make here is the only reason I bought Gardener’s novelization of Batman (with my weekly five-dollar allowance, mind you) wasn’t because I loved to read, but because I loved Batman. While I read the book nearly everyday, I couldn’t really comprehend what I was reading. I could appreciate the broad strokes, but most of the time I was simply exercising my ability to read words without actually engaging in the story that those words were telling. I’m pretty confident that I never finished reading the book (however, I did write a terrible book report on it the morning that the report was due). And that was pretty much the only real novel that I ever tried to read on my own; not to say that I read novels that were assigned to me in school, because I didn’t do that either. But all of that changed in the fall of 1996—or was it the spring of 1997?—when, during my first year in college, I took a U.S. History class. There were three novels assigned to read in that class: The Jungle by Upton Sinclair, The Great Gatsby by F. Scott Fitzgerald, and Babbit by Sinclair Lewis. Having recently completed a mediocre high school career, I decided that I wanted to make a fresh academic start in college. I wanted to apply myself and see what I could make of it. This ambition, however, was nearly knocked out of me when I learned I would have to read three novels for one class during an 18-week semester. I was all but ready to drop out of college at that point, but, having no other life options at the time, I figured it was best I stayed and gutted it out. The Jungle was first on the list. The professor gave us roughly a month to finish Sinclair’s novel, before being tested on it. It’s over four-hundred pages and, in my memory, the font is super tiny. Because I’d never finished a book in a year, let alone a month, I decided I should come up with some sort of strategy. First, I broke the book down by pages, giving myself the goal of reading approximately 15 pages a day. For the first day I sat in my backyard, hoping the quiet and fresh air would magically make the book come to life. I remember the first chapter being boring and difficult to understand. There was a wedding, as I recall, with the protagonist of the novel, Jurgis, and his young bride, Ona. I got through my 15 pages and, as usual, comprehended little to none of it. I was very frustrated and my hopes of excelling in college were quickly being dashed. The next day I stayed in my room for my 15 pages of torture. Lying on my bed, holding the book over my face, I began reading again. I didn’t change my technique nor did I enter into the reading with any sort of optimism…and yet, during that reading, something amazing happened. At some point—and can’t tell you when—the words on the page came to life. It was as if my imagination was filtering Sinclair’s prose and projecting it into a movie in my head. Then, because I stopped, I feared it was a one-time phenomenon and by haulting my momentum I might not be able to tap into the book’s story again. I began reading right away and, to my great relief, I was still able to turn the words into a movie in my head. I would go on to finish that 400-page novel, with the tiny font, in three days. I was absolutely blown away by the experience. Sitting here, reliving this memory, I can hardly recall what The Jungle was about. I remember Jurgis was married and I remember (spoiler alert!) his wife, Ona, dies. I remember times were good for a little while and times got significantly tough soon thereafter. I remember Jurgis took any job he could get, including shoveling manure and working in a meatpacking warehouse. I remember going on an emotional rollercoaster, rejoicing in Jurgis’ victories and feeling distraught during his defeats. To this day, I can’t explain to you what it was about The Jungle that unlocked my love for reading. If I were going to encourage somebody who doesn’t love books to start reading, I certainly wouldn’t tell them to start with The Jungle. Jurgis certainly isn’t Batman, but, like Bruce Wayne, he’s simply a man trying to do his best within the rigid boundaries of his mortal body. And while The Jungle isn’t anything like Tim Burton’s film, it is an engaging and cinematic story, filled with heroes and villains. From the moment I finished it, I felt like I’d discovered some grand secret: every single novel ever written was actually a movie disguised in words. From that day on, I couldn’t wait to read as many of those movies as I could get my hands on. If you twisted my arm and asked me to name my favorite writer, I would probably ask why you were twisting my arm — plus, it would be difficult to whittle it down to just one. I could, however, give you a short list. And, if you allowed it, I would tell you that Nick Hornby, without question, will forever have a place on my ever-shifting short list of favorite writers. But, ironically enough, that’s not why I’ve chosen Nick Hornby as the inaugural author featured in “Books That Aren’t Mine.” However much I love Hornby’s novels—and, to be clear, they’re up there with pizza and video games—it was actually one of his non-fiction books that inspired not only this blog post, but also this entire section of Inside Martin. The book in question is Songbook, which is a collection of essays written by Hornby about his favorite songs and why he loves them. "Songs are what I listen to, almost to the exclusion of everything else. I don’t listen to classical music or jazz very often, and when people ask me what music I like, I find it very difficult to reply, because they usually want names of people, and I can only give them song titles. And mostly all I have to say about these songs is that I love them, and want to sing along to them, and force other people to listen to them, and get cross when these other people don’t like them as much as I do…"
In all, Hornby writes essays about 31 songs in Songbook. I recognized a few of the recording artists he was writing about, such as The Beatles and Ani DiFranco, but, with few exceptions, I hadn’t a clue what these songs were or if I’d ever heard them before. And that is, perhaps, the best compliment I can give this book, because, despite my ignorance to the songs Hornby writes about, I loved reading every essay in Songbook. And not because I was learning anything particularly interesting about music—which, on the whole, I wasn’t—but rather because I was learning about this interesting person who is really passionate about the music he loves and incredibly engaging when articulating why. "So, even though I’m not American, no longer young, hate cars, and can recognize why so many people find Springsteen bombastic and histrionic (but not why they find him macho or jingoistic or dumb—that kind of ignorant judgment has plagued Springsteen for a huge part of his career, and is made by smart people who are actually a lot dumber than he has ever been), "Thunder Road" somehow manages to speak for me. This is partly—and perhaps shamingly—because a lot of Springsteen’s songs from this period are about becoming famous, or at least achieving some kind of public validation through his art…"
While passages like the above excerpt exist in Songbook, I find many of my favorite passages are the ones where he writes about his life and his career and his family, all in conjunction with some song that, somehow or another, threads them all together like a musical candy necklace. "If it’s true that music does, as I’ve attempted to argue elsewhere, serve as a form of self-expression even to those of us who can express ourselves tolerably well in speech or in writing, how much more vital is it going to be for [Danny], when he has so few other outlets? That’s why I love the relationship with music he has already, because it’s how I know he has something in him that he wants others to articulate. In fact, thinking about it now, it’s why I love the relationship that anyone has with music: because there’s something in us that is beyond the reach of words, something that eludes and defies our best attempts to spit it out." Just as Hornby feels an intimate connection with the music he loves, I feel a similarly intimate connection with the books that I love. And, also like Hornby, many of the connections I feel with my favorite books have little or nothing to do with the stories being told, but rather what was happening in my life when I read them or, more importantly, how they changed my life or my perception of the world. Without much effort, I could rattle off any number of books I have great affection for—The Jungle by Upton Sinclair, Still Life With Woodpecker by Tom Robbins, Insomnia by Stephen King, The Things They Carried by Tim O’Brien, to name a few—and I could just as easily tell you exactly why I love those books, even if I can’t remember the name of the main characters or properly summarize the plot. And, ultimately, that’s exactly what “Books That Aren’t Mine” is for. It’s an opportunity for me to pay homage to the books that affected my life, while also painting a picture of the life they affected.